I didn't fall in love with this quilt until today. a striped binding will do for a quilt!!!! This time I was WON over!!!! I wasn't too sure about this quilt until it was ALL done. I'm NOT sure I'll be able to give it away!!!!! BREAKING rules in the last post!!! Weren't they FUN to read??? to make a little quilt with ONE word. But it's what I WANT to do this year! Break EVERY quilting rule in the book! How many rules are there??? That's ONE rule that I already know HOW to break. I'd love to hear about the "rules" you like to break! I needed a small project to work on this weekend at the cabin. Someone gave me a LITTLE bit of these pastel colors. I really like putting little bits and pieces together! Little quilts make me happy. It's that time of year, right? and used 1 3/4" white squares in the corners. Pressed them back and trimmed the excess. was a LOT different than using 2" squares. The 1 3/4" white squares are on the LEFT. The 2" white squares are on the RIGHT. I liked the 1 3/4" better. Now to figure out how to quilt this sweet little baby quilt!!! after seeing my quilt teacher demonstrate her pattern. But I made a bag. See??? I knew you'd understand. Mine is made in miniature. I used 2 1/2" squares instead of the 5" Squares called for. Did you know quilting adds to a healthy life??? but I'd like to STRESS the medical benefits that I think sewing brings. I was given these blocks. There were JUST enough to make a baby quilt. The stripped pieces were already sewn together!!!! What a BLESSING they were to ME!!!! Maybe a needy mom who would be using this quilt. Automatically my troubles melted away!!! will do for your MENTAL health. And GOOD mental HEALTH means good overall health...right??? Try it today and tell me if I'm ON TO SOMETHING!!!! Maybe we should do a REAL study about this phenomenon!!!! that need to MATCH up perfectly. I'm making one so that I can help HER make one. I don't see too many quilts using this pattern in blogland. Look what I saw when I got home from the hospital! Here's the pattern my Mother-in-law and I are using. I need to begin handquilting this. and my WHEELS are turning!!! Looks like there are some AWESOME prizes. This here looks like a GREAT place to begin!! 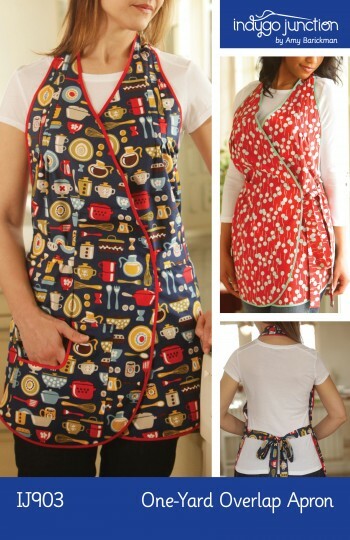 You know I love APRONS!!! Singer and Coats & Clark are sponsoring this FUN challenge! Here's the very first block. I didn't really know what I was signing up for when I began!!! Isn't that the way quilts are??? I AM happy to have used these fat quarters for the backing. so...... I'll think of her EVERYTIME I cuddle with this quilt! I DO like the swirly quilting. You can imagine I was CELEBRATING when I got to this point!!!! PIECING those little TINY Half Square Triangles!!!!! I hope you'll STOP ME!!!! I'm hosting a PINCUSHION PARADE this week! Maybe you have a collection?? Something you made without using a sewing machine. There might be a sentimental pincushion on your shelf. Is there a pincushion you designed?? A pincushion that was inspired by someone else?? We ALL love these little work horses, don't we??? I hope I get to see LOTS of FUN pincushions THIS WEEK! Whip it out now and again. It was looking really RATTY! and a 2" wide scrap! Oooh! I also added a piece of cardboard inside. These pictures will get a LOT of ABUSE in my bag!!! I did some stitching on fabric today. Of course, there was a little batting and backing involved! I bought a sketch pad! Figuring out how to arrange the blocks! But there are SOoo many quilts swimming around in my HEAD! I want to get them OUT!!! Maybe making ONE block for EACH idea will help!????.. I have ALL year to finish them. ONE big BAG of GREEN apples. Good thing my 18 year old son was around to EAT half of them! Even if They're NOT FABRIC scraps!!!! The apples were quickly seeded and pared. Thrown into a pot with a TINY bit of water. I did a bit of stitching. and I want to see if I can do it ALL by hand!!!! The apples cooked in a short time. I got back to STITCHING the IN-edible kind of scraps!!! !